تقرير عن حقوق الانسان مقدمه وعرض وخاتمه ,طلابنا الاحباء اليوم ننشر لكم كتابة افضل موضوع تعبير عن انواع حقوق الانساء بالمقدمة والخاتمة قصير ومختصر لجميع الصفوف الابتدائية والاعدادية والثانوية العامة والازهرية . بينما يمكنكم كتابة اجمل موضوع تعبير عن حقوق الانسان مختصر بالعناصر والافكار كامل عربي وانجليزي . ان تاريخ البشرية كله يؤكد ان الاسلام والقران الكريم هو اول وثيقة عالمية اعلنت حقوق الانسان من اكثر من اربعة عشر قرنا. 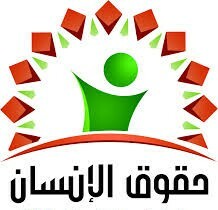 واكدت مبادئ الحرية والمساوة غلا طبقية ولا عنصرية يقول الرسول صلى الله عليه وسلم الناس سواسية كاسنان المشط لا فضل العربى على اعجمى الا بالتقوى فيتاح لنا ايضا حرية الراى لانه من اهم الوسائل لرقى المجتمع اذ تتيح لاصحاب العقول الرشيدة . والافراد السديدة ان يتشاركوا غى سياسة الامة ويسهموافى حل مشكلاتها كما ان الاراء اذا اشتركت فى بحث موضوع ظهر ما هو نافع فيه واخذ بالراى الاصوب لذا يجب على الناس حرية الراى وابداء الراي لصالح الجماعة كذالك حرية الفكر والتعبير . ويجب ان يكون الانسان الحق فى ان يفكر تفكيرا مستقلا فى جميع الشئون وما يضع تحت ادراكه من ظواهر فى الكون بل ان الاسلام ,حتم على المسلم مناقشة كل راى لا يفهمه عقله فللانسلن حرية التفكير العلمى غيجب ان يختار المجال الذى يريد ان يبحث فيه ,وكان يختار احد العلماء ان يبحث فى مجال الطب او الادب او العلوم وهكذا. origin, color, religion, language or any other condition. We all have the right to exercise our human rights without discrimination and on an equal footing. These rights are interrelated, interdependent and indivisible. Universal human rights are often reflected in and guaranteed by law, in the form of treaties, customary international law, general principles and other sources of international law. International human rights law stipulates that governments are required to act in a certain way or to renounce certain acts in order to promote and protect the fundamental rights and freedoms of certain persons or groups. The principle of the universality of human rights is the cornerstone of international human rights law. The principle, proclaimed for the first time in the Universal Declaration of Human Rights in 1948, has been reiterated in many conventions, declarations and resolutions. The 1993 Vienna World Conference on Human Rights noted, for example, that States have a duty to promote and protect all human rights and fundamental freedoms, regardless of the political, economic or cultural development. All States have ratified at least one of the core human rights treaties and 80 per cent have ratified four or more, thus showing that States accept texts that impose legal obligations on them and give concrete form to the principle universality. Some basic human rights standards enjoy the universal protection of customary international law, which knows no borders or barriers of civilization. Human rights are inalienable. They may not be repealed, except in special circumstances and in accordance with a specific procedure. For example, the right to liberty may be limited if a court recognizes the person guilty of a crime. All human rights are indivisible, whether civil or political, including the right to life, equality before the law and freedom of expression; economic, social and cultural rights, such as the right to work, social security and education; or collective rights, such as the right to development and self-determination, are indivisible, interrelated and interdependent. Improving a right facilitates the progress of others. Similarly, the deprivation of a right has a negative effect on the others. UNICEF photoNon-discrimination is a universal principle in international human rights law. The principle exists in all major human rights treaties and serves as a central theme for certain international conventions such as the International Convention on the Elimination of All Forms of Racial Discrimination and the Convention on the Elimination of All Forms of Racial Discrimination discrimination against women. The principle of non-discrimination in respect of human rights and freedoms applies to all persons and prohibits discrimination based on a non-exhaustive list, including gender, race, color, etc. This principle is accompanied by the principle of equality contained in Article 1 of the Universal Declaration of Human Rights: "All human beings are born free and equal in dignity and rights". Human rights involve both rights and obligations. International law imposes on States the obligation and duty to respect, protect and establish human rights. Respecting human rights means that states avoid intervening or hampering the exercise of human rights. Protecting means that states must protect individuals and groups from human rights violations. Institution means that States must take positive steps to facilitate the exercise of fundamental human rights. At the individual level, we have the right to exercise our human rights, but we must also respect the rights of others. وفى نهاية موضوع أرجو أن أكون أحسنت في اختيار تعبيراتي وانتقاء الفاظى وأرجو أن أكون تناولت هذا الموضوع الهام من جميع جوانبه ووضحت جميععناصره فإن أحسنت فمن الله وان أسأت فمن نفسي ومن الشيطان وكما قال الله تعالى لايكلف الله نفسا إلا وسعها صدق الله العظيم والسلام عليكم ورحمة الله وبركاته. اطيب التمنيات لجميع الطلاب .